Lace that is a very light beige or ecru color that has holes for inserting ribbon in your choice of color. Fabric content unknown. Color may be slightly darker than shown in the photos. 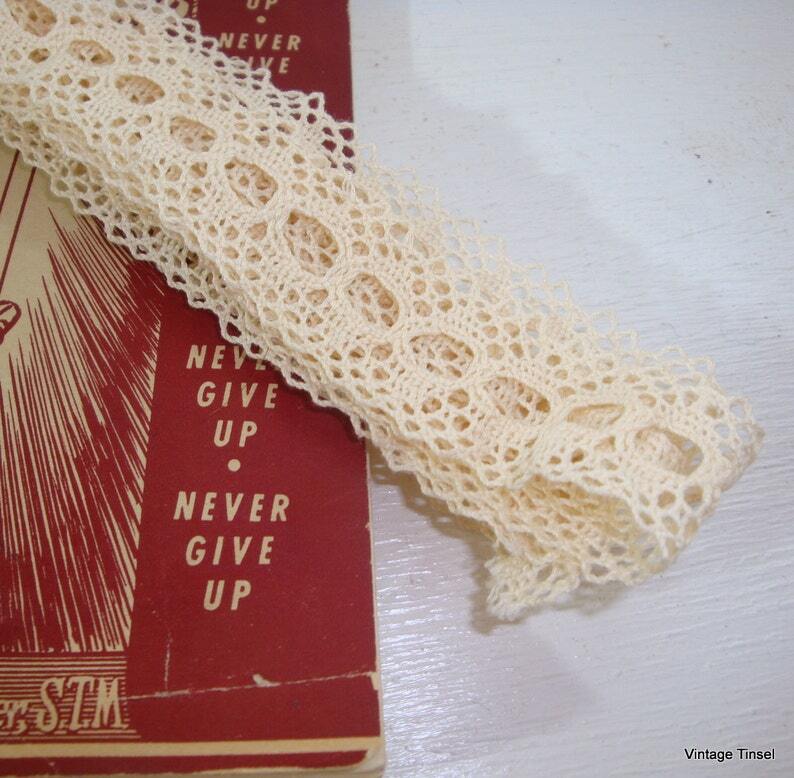 You will receive a 52" length of this lacy trim for your next sewing or crafting project. Need more? Just convo, I have a large quantity of this, however, it is not a continuous length and shades vary slightly from light ecru to light beige. If you have shade preference, please ask prior to ordering what is available. More sewing/crafting trims? I'll gladly combine your shipping and I do ship worldwide. Return to AntiquesGaloreGal. Thanks for looking!